The challenge a player faces in a game is extremely important to consider. After all, video games are an interactive medium and the challenge really frames how that interaction will go. So how can a game find the ideal challenge? Maybe first, what is the ideal challenge? And truly, how can the challenge always remain fun? The sweet spot in gaming in regards to challenge really means the player feels like there is a challenge being presented so that succeeding feels like they accomplished something, but the player also does not feel frustrated. Yahtzee Crowshaw discussed this same topic including talking about some of the extremes (which we’ll get to in a bit), but his argument was the same: players want the satisfaction of success without frustration. This isn’t perfectly simple to define what exactly the challenge is. For instance, is the challenge in Pokémon the battles or the act of catching all of the critters? In Super Mario Brothers, is it the individual jumping or getting a high score or completing the game faster? My argument is that the challenge and difficulty really targets completing the game. Completion is still a bit fuzzy when there are so many games with emergent gameplay or a concept of 100%. I really mean playing through the story or campaign as is appropriate for the game. Things outside of that target a different demographic and frequently are outside the core experience. There are some games that don’t even have a story at all (like Minecraft), but Yahzee’s game design principles allow us to see we are really looking for the gratification from other contexts. For Minecraft, the difficulty becomes more of a balance between time investment and reward. The sweet spot is when the user feels like they accomplished something by getting all the materials before being able to do what they want. Because everyone gets something different out of Minecraft, it is much harder to “balance” perfectly, but more user driven games also tend to self balance by those who play them (multiplayer is similar, though there also is a degree of match making so everyone feels some success). But some games are hard. Even for people that have a good idea how to play them, there are games like Dark Souls and Super Meat Boy that are just hard. The real trick with games like this is to balance frustration and gratification as Dark Souls does like old Nintendo Hard games. 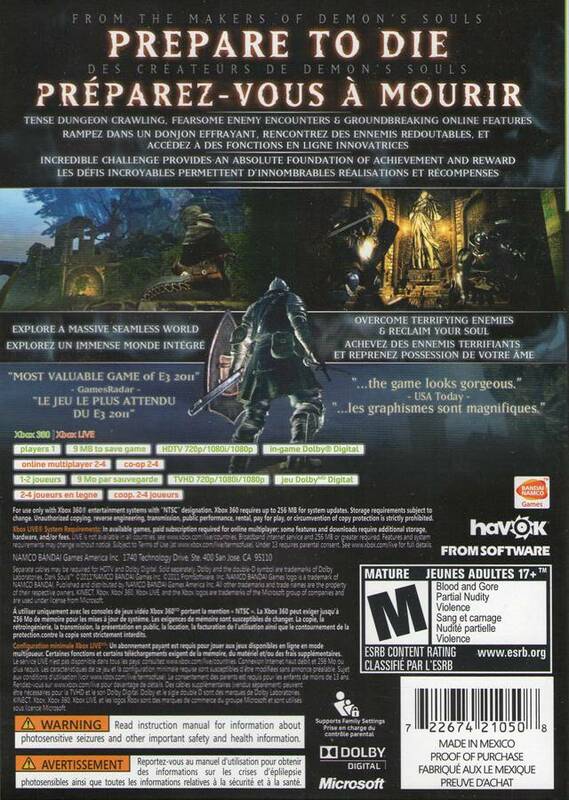 In fact, when someone knows what they are getting into (as the back of the Dark Souls box actually warns), there is a huge pay off for getting everything right. Even better is that Dark Souls doesn’t cheat the system. What I mean by that is the rules apply to you and all enemies alike. Enemies can hurt each other with poorly placed attacks or might fall off a cliff and instantly die if it comes to that. In the end, that feels much more like the game is fair. To give an example from the other end of the spectrum that I played recently, South Park: The Stick of Truth firmly plants you in the camp where rules and equality are made to be broken. What I refer to is that as the game progresses, enemies start to become immune to more and more types of attacks (such as stun or bleed effects). To be perfectly frank, this is purely disappointing. To have developed strategies and abilities and equipped characters for one strategy to only find out that the enemies are unaffected by your planning makes a player feel the game isn’t rewarding their efforts. I feel this goes beyond what is common in JRPGs where there are elemental strengths and weaknesses. Instead of learning how to balance all of the effects you can use, it comes down to just ignoring that you have some because there are not alternatives. Essentially the game takes away possibilities as it goes on. But South Park is easy, overall. It’s much more acceptable for a game to be unfair if you are still winning anyway. What about easy games? In Yahtzee’s topic about easy games, the title says they just break game design (though the article actually doesn’t). Kirby games, especially of late, aren’t known for particularly any challenge, but they can still be a lot of fun. To me, these are games where you just have to love the gameplay for what it is and/or the story for what it is. I feel for game designers, this is a trap. It is far too easy to think the gameplay is just that good such that there doesn’t have to be a challenge. And if a game had a satisfying challenge, it could be that much better. I feel adventure games can have this effect at times. If your brain is really in tune with the developers (or just a certain amount of experience), a lot of the challenge can melt away. But a great story can still keep it good for the couple great puzzles mixed in. I feel Monkey Island 2 had a bit too much of the crazy puzzles that could become frustrating quickly. After all, these games also block all progress until you get past the puzzle. A common way for game developers to find the sweet spot for a player (since people are all different) is to just ask how hard they would like the experience. Like the Doom screenshot at the top of this page, the choice is simply presented and then any adjustments are made. In theory, this can be a simple way to appeal to a large audience. And it makes sense; some people are better at some games than others. I admit to usually playing on Normal difficulties but for FPS I’ll frequently at least try Hard. But what if a player chooses wrong? If a game is too hard, there is a distinct possibility that they will just rage quit and not play the game. This means that player is unhappy and they will probably encourage friends to buy different games. Or what if a game is too easy? Then the game might just feel boring because nothing made you feel like you had succeeded. At least modern games tend to let the player change their mind without starting over, but is that enough? This is the exact problem that 3D Realms attempted to combat with auto-adjusting difficulty. 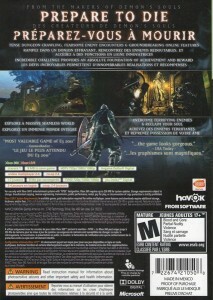 They saw it as such a feature, they put it on the box blurb. Nintendo, who don’t believe in difficulty choices for better or worse, have things like the Invincibility Leaf that means that only falls are problematic for the remainder of the level. What difficulties actually do when they are available is, in my opinion, frequently boring to wrong. 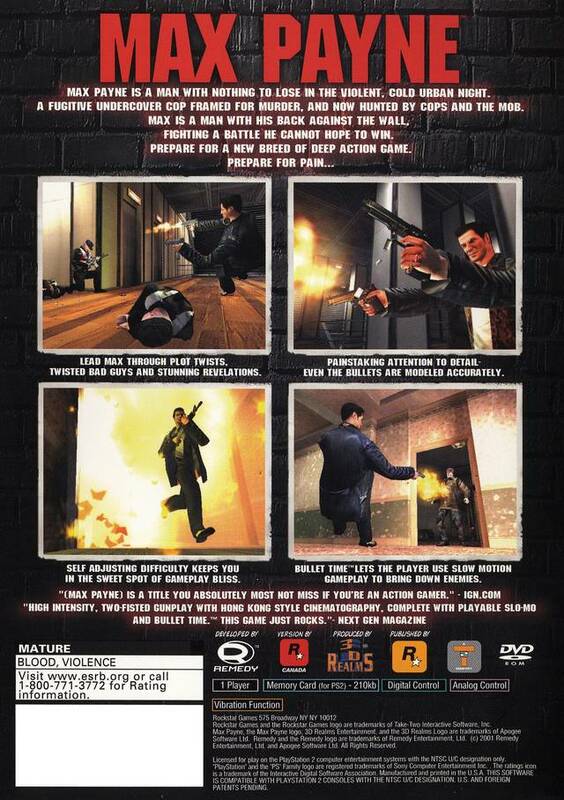 Most difficulty settings merely adjust the health and damage of the player and enemies. At best, the idea that enemies take more damage and do more damage is boring. At worst, it doesn’t alleviate people wanting a greater challenge or running into a wall. In a game like Serious Sam, I feel this is quite appropriate because basically all of the challenge and gameplay comes down to shooting enemies, but most other games are more complicated. There are frequently puzzles (either directly like jumping puzzles or key based puzzles or indirectly like understanding how a boss works and can be hurt) that are left unaffected by difficulty. Additionally, when someone does run into a challenge on Easy, what comes next? Some games let you just skip that section (which is better than nothing, but feels like you are now missing out on part of the game). Nintendo actually integrated slow tutorials with their levels you can watch in the New Super Mario Bros games. Them being slow is important since you wouldn’t want to sit through them normally, but they will show you how to get past something that is defeating you. And you get to actually achieve success which is a good feeling. But what about the people who want more challenge? Of course making enemies harder to kill and you easier to die will be harder! This generally is true, but that’s not a more interesting challenge. What I found in Far Cry 3 Blood Dragon was that, even on hard, the enemies really had no response to you using stealth. The bow was still a one shot kill (except on big guys where you did need the headshot) and there were takedowns that were silent and one button press. Hard made boss matches where stealth wasn’t an option more difficult, but overall the exact same strategy kept working. I feel there are a few better answers. One is extra objectives. In Mario games, this is just collecting all the stars. Many are more difficult to get to or find than the rest of the level. In JRPGs where the ability to grind is (or should be) the difficulty system, extra bosses or dungeons can provide a challenge that people who just want to play the game can just skip. In Metal Gear games, it’s getting through the game without being detected or killing anyone. And these all can co-exist without any difficulty menu. Even with the menu, Metal Gear games make the AI smarter and bosses have more patterns to master besides health and damage differences. The Curse of Monkey Island (the 3rd game in the series) actually let you make the puzzles harder. This makes the game more interesting to play rather than more wash-rinse-repeat. So it would be reasonable to think that I feel that challenge shouldn’t be accomplished by difficulty menus. This is mostly right. I do feel that a game, when started, should go into its normal mode which should then be balanced by the designers. But I also feel there should be a menu to adjust the difficulty while playing. The reason is simple: feelings change and auto-difficulty systems can be wrong. 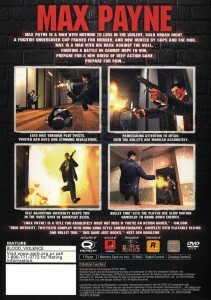 In Max Payne, the difficulty would only change between levels. What if a player is stuck? Well, then they were stuck because there was no way to make the game easier other than playing the pervious levels more poorly. That is an awful experience. What if a player really wants to experience the story, but doesn’t have the time or interest in the challenge anymore? Being able to choose easy mode would let them do that (which I have done before, but I can’t remember for what game). The other side can be true also. What if a player doesn’t seem to have full health a lot but that’s only true because they are artificially trying to create more challenge for themself? This is where being able to enable a harder mode (maybe like Bastion’s idol system) can keep the player really having fun. Again, the player should be trusted at least to be able to override when you may be ruining their experience. Difficulty is very important to be able to provide a good deal of satisfaction with a game. But even with all different levels and styles of players, it is always the designers’ job to actually make the game enjoyable with both challenge and progress. Finding clever or integrated ways to provide more or less challenge is the ideal, but manual overrides can really make a player happy. The customer is always right in the end, but most people will take the default and should be readily able to love it.